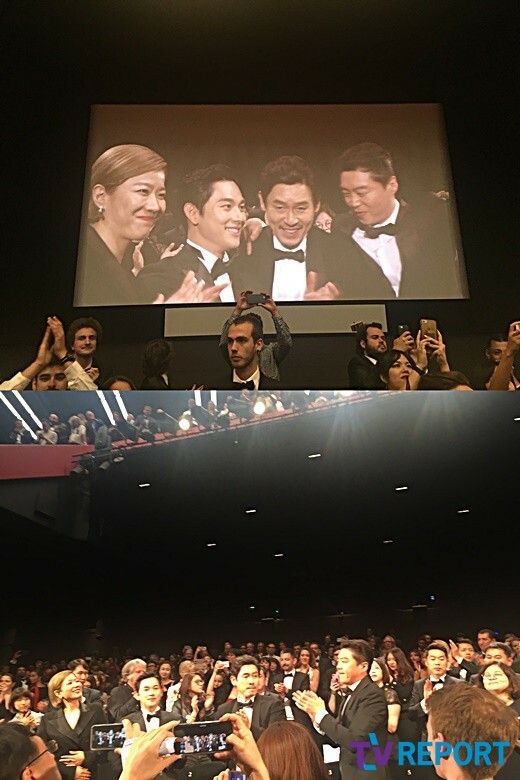 Netizentown: ''The Merciless" actors alone to receive a 7 minute standing ovation at Cannes. Director forfeits his presence due to an SNS controversy. Korean viewers boycot the movie. ''The Merciless" actors alone to receive a 7 minute standing ovation at Cannes. Director forfeits his presence due to an SNS controversy. Korean viewers boycot the movie. The gist of the SNS controversy is that "The Merciless" director Byun Sung Hyun has consistently posted remarks on his SNS against women, presidential candidates and angered netizen who boycotted his movie. The Merciless barely broke 700k admissions in his 2nd week. [+1722, -97] Im Siwan really transformed into a full blown actor... How upset must the actors have been about the director ... Him not attending was the best! Congratualtions! [+1907, -249] I'm proud they were screened in Cannes and that people from all around the world seemed to have enjoyed it. there was controversy about the director but it sure is a good movie.